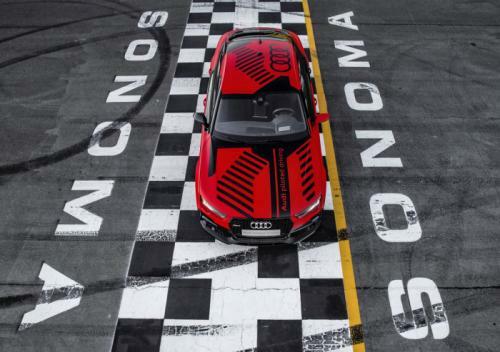 German Auto-major Audi has thrown in updates to the RS7 Piloted Driving Concept, which was previewed for the first time last year. 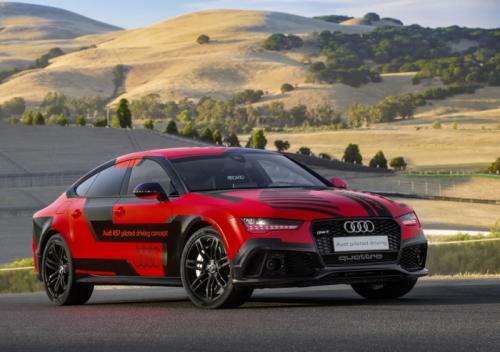 The original Audi RS7 Piloted Driving Concept, nicknamed “Bobby”, completed a driverless lap at the Hockenheim track in Germany last year. While doing so, Bobby managed to hit 240 kmph and blow all critics of driverless cars out of the window. The updated version, nicknamed “Robby”, has the same engine as the RS7 Sportback (Production Version): a 4.0 liter twin-turbo V8 with 560 PS of power and 700 Nm of torque. Audi has also managed to make Robby 400 kgs lighter than before. How it managed to achieve that? Audi is yet to reveal. Audi has taken Driverless cars really and i mean really seriously. If you remember, Audi showcased a driverless A7 Sportback at CES this year. The car, nicknamed “Jack” covered the entire distance from Silicon Valley to Las Vegas for its preview in CES 2015. The car also managed to reach 130 kmph on the German Autobahn. A few lucky journalists too enjoyed a ride in “Jack” at CES Asia in Shanghai. Do not wait for Audi to implement this anytime soon though. The technology is still being worked upon by Audi and the first one to offer it will be the A8 in late 2017. As long as it keeps Audi at the top of understated luxury, we have no qualms about it. What if Ferrari had a spacecraft? 5 common driving mistakes that reduces life of your car.